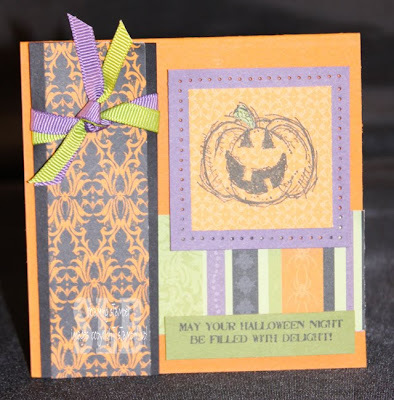 Here's another fun and easy Halloween card! This one uses the set Autumn Harvest. This great set can be used for Halloween, Fall, or Thanksgiving cards and projects.